Bottle stoppers make great gifts. 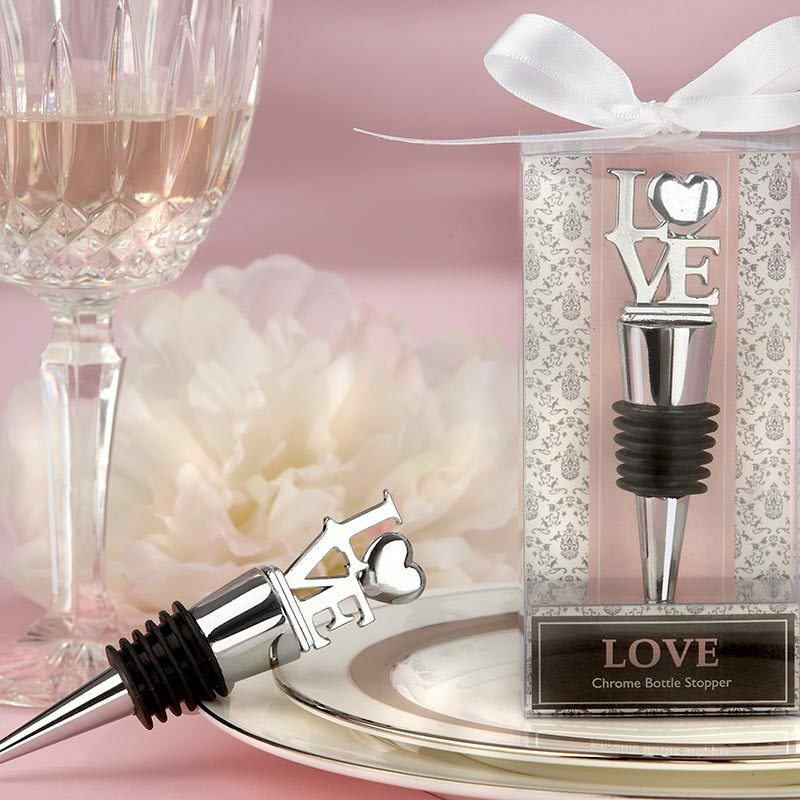 Especially when they are of high quality and are as attractive as our LOVE wine stopper wedding favor shown here. Our LOVE bottle stopper is made of solid chrome - your guests will take note of its solid weight and feel. Each bottle stopper wedding favor measures approximately 4”h x 3/4” w. It arrives attractively packaged in a clear gift box elegantly designed with shades of pink, gray and white and featuring a damask design. The box is elegantly topped with a pure white, satin ribbon. Each gift box measures 4 1/2"h x 2”w x 1”d. Please allow 7 business days to fulfill your order. Then add ship time from GA.